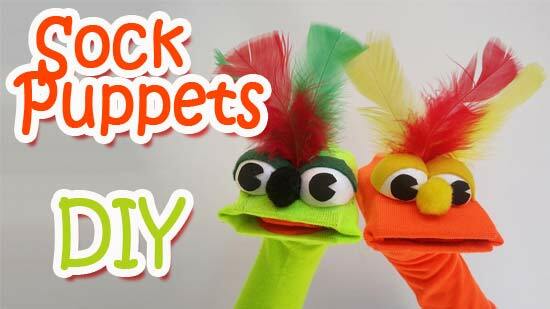 In this tutorial: How to make Sock Puppets – step by step DIY Crafts. 1 – fold the cardboard in half , cut according to the pattern. 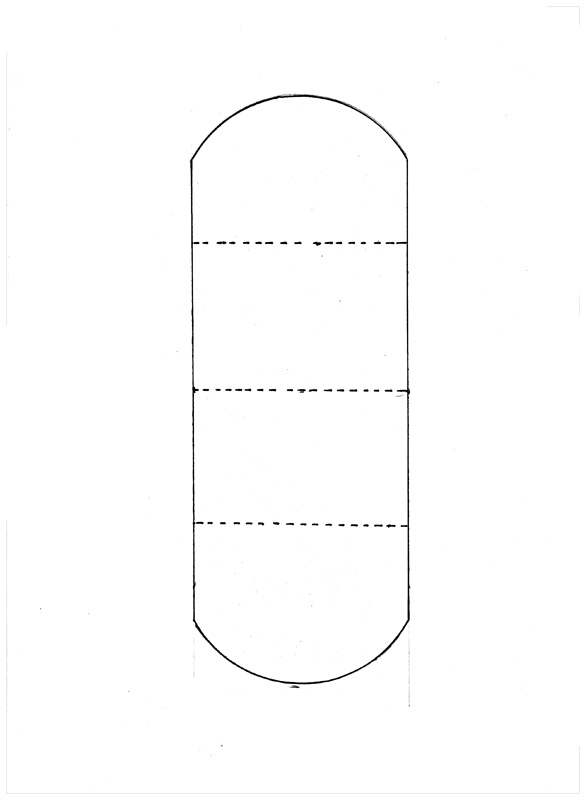 2 – fold every part in half. 3 – take the sock and turn it inside of itself. 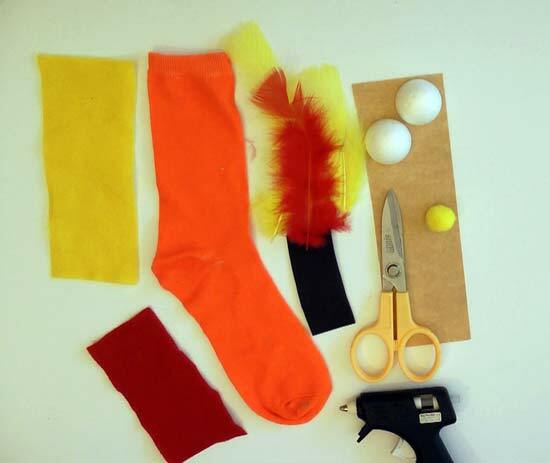 4 – glue the internal cardboard part and take the sock and turn it outside of itself. 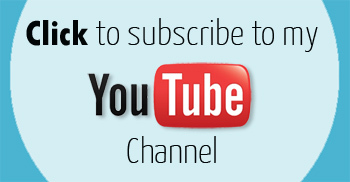 5 – cut a piece of felt to make the inside of the mouth. 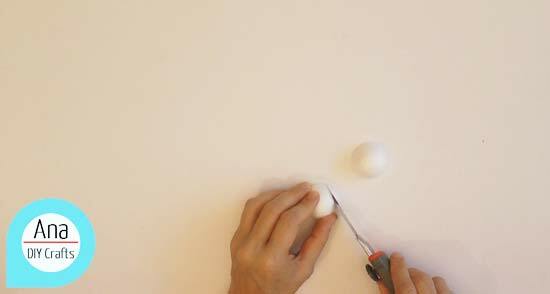 6 – cut the polystyrene sphere in half and cut a piece in every half. 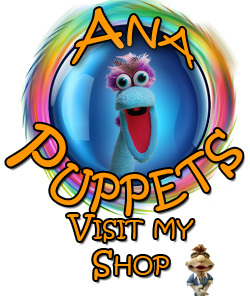 7 – make the eyelids with felt and glue the eyes on the mouth. 8 – to finish the eyes cut two circles of foam crafts , cut a little triangle. 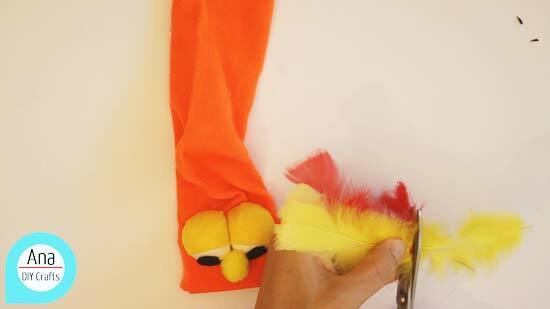 9 – add feathers to make the hair.